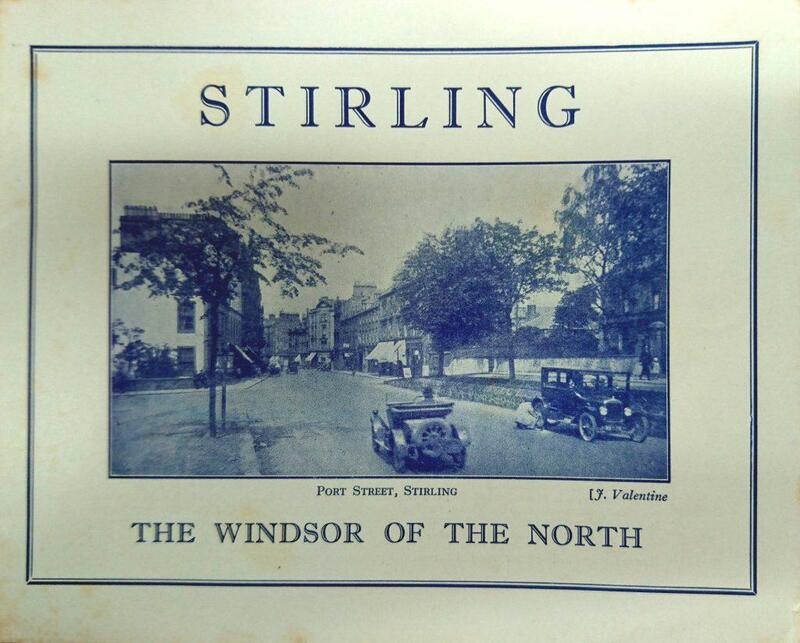 ‘The Windsor of the North’ provides a reminder of how much the promotional and destination marketing Stirling has moved on since the 1930s. This is from the cover of a brochure discovered in the Oxfam Bookshop by Friend of the Smith Frances Chatfield last week. The booklet was produced by the London and North Eastern Railway to attract travellers to Kings Cross and the east coast line. Return tickets to Stirling were available for four shillings (first class) or two and sixpence (third class) with a “Luggage in Advance” service, collected conveyed and delivered for two shillings per package. If ‘Windsor’ conjures up the idea of Merry Wives and yellow soap for some, it was a comparator which appealed to travellers from the south. The attractions of Stirling were listed as the 60 year – old Golf Course, the Kings Park, Tennis Courts and Putting Green, fishing opportunities, two theatres and three picture houses. Day trips to the Trossachs, Loch Katrine and Loch Lomond are also listed. Stirling was promoted as a peaceful place, and a guide book could be obtained by writing to the Town Clerk. Port Street is still recognisable – the buildings on the left remain, but the opportunities of changing a tyre there, as the motorist on the right is doing, are now limited!